The last few years haven’t been good for the lithium-ion battery. 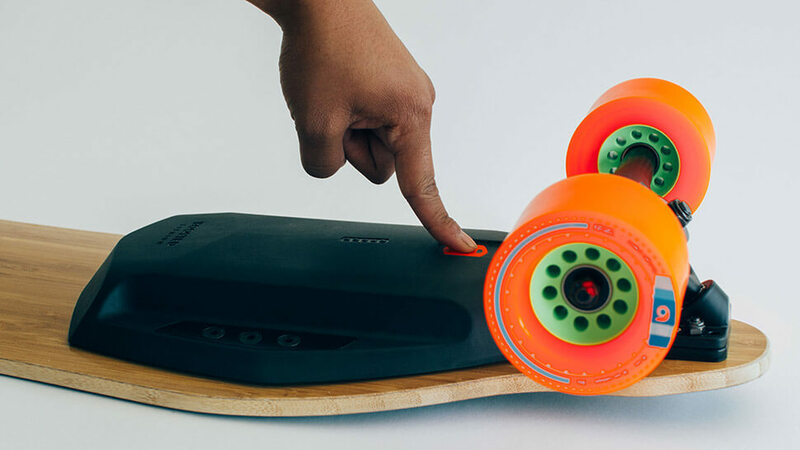 After the Note 7, hoverboard, and Boeing 787 Dreamliner fires, another product containing the batteries has been overheating: the Boosted electric longboard. In a blog post yesterday, the company urges owners of its second generation boards to stop riding and charging the devices. The warning follows two incidents where the battery cells “vented” inside their enclosures. Boosted said its engineers are investigating how this happened. Thankfully, nobody was injured and there was no property damage. Boosted advises users to keep their boards away from anything flammable or remove the batteries while the company completes its investigation. Anyone who notices signs of venting, such as smoke or the battery pack becoming warm, should move the board outside and contact the firm. Sales and shipping of the affected boards are being temporarily halted. The company didn’t say if all its newest boards could experience the overheating problem. Boosted is set to release an extended range version of the boards, which come with a bigger battery, next year. Whether or not these plans change as a result of the overheating issues is unclear. The Galaxy Note 7 battery fiasco is well documented, yet Samsung’s engineers still haven’t been able to pinpoint the root cause of the overheating. The lack of answers is said to be hampering production of the Galaxy S8 – the same situation occurring again could destroy the company. Amazon is being sued for $30 million after a hoverboard bought from the site caught fire and burned down a family’s $1 million home earlier this year. The couple thought they were buying a device containing a Samsung lithium-ion battery, ironically, but it was a counterfeit item from a fake organization.